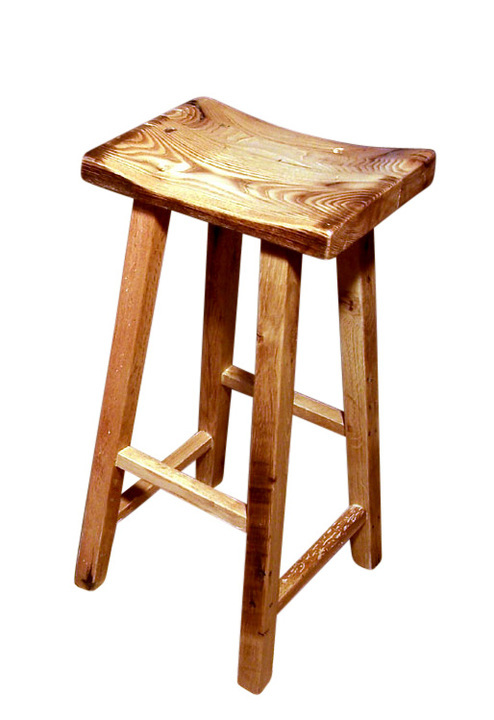 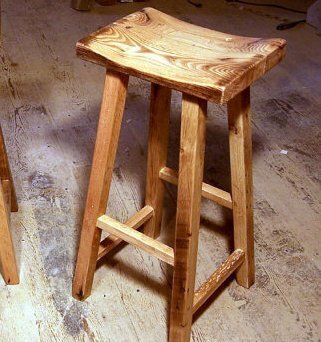 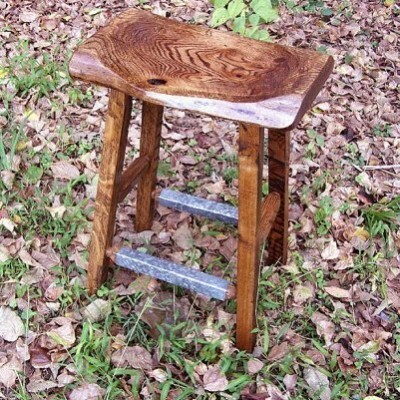 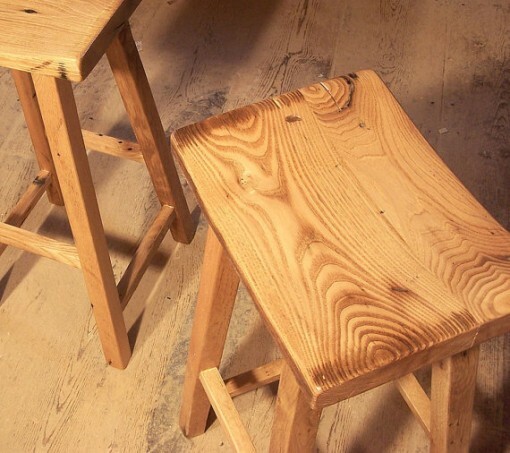 These custom bar stools are perfect for your cafe, bar or restaurant. 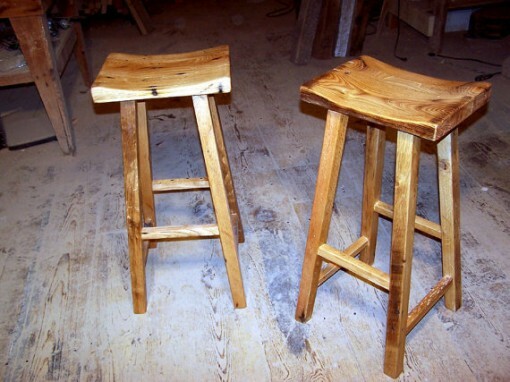 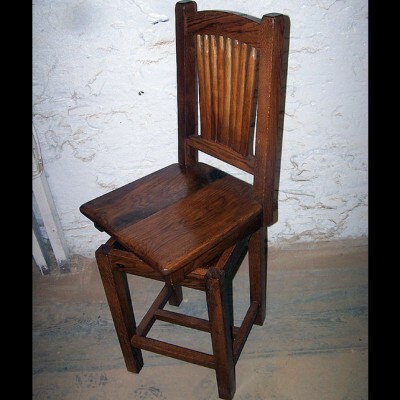 Shown here made from reclaimed wormy chestnut with mortise and tenon joinery, they are tough and durable, yet their scooped saddle seat design makes them snug and comfortable! 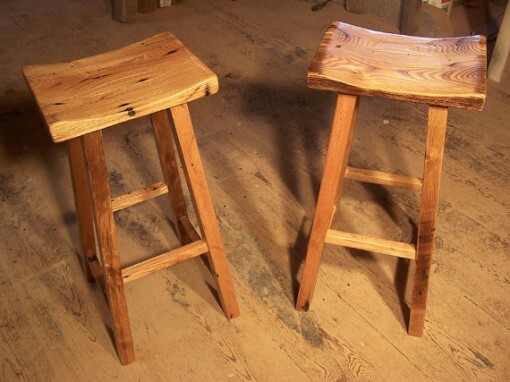 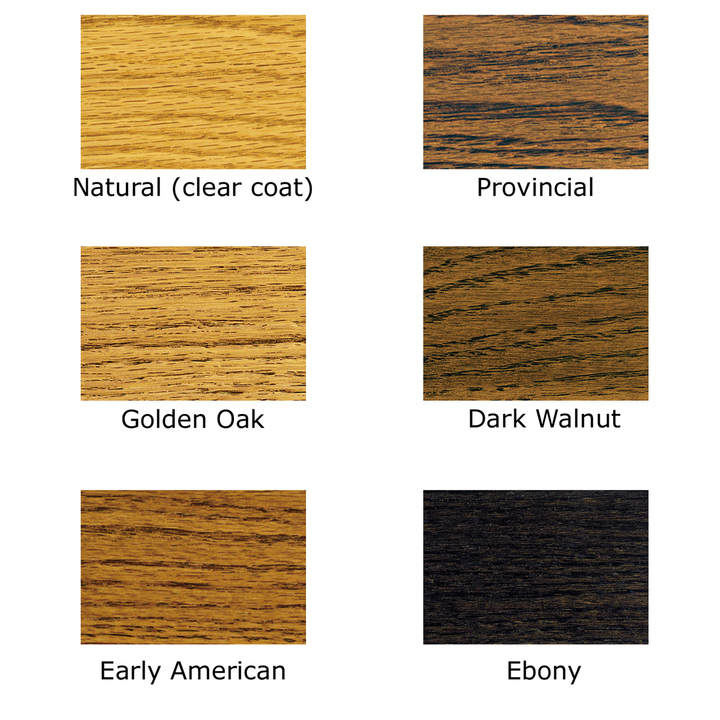 Custom made to your exact specifications at time of ordering from wood salvaged from old barns in Virginia, New York, Pennsylvania and beyond. Rich with character and history, the dramatic grain of the old wood will bring a warmth and depth to your bar that can’t be acheived any other way. 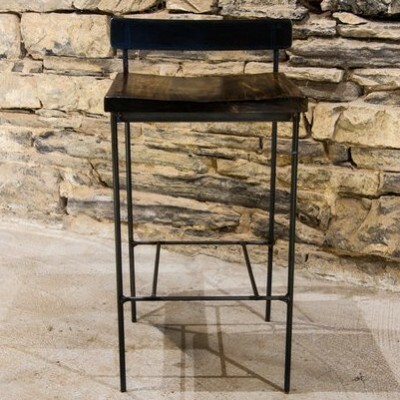 Pictured here at 30 inches high with the seat 15 inches long and 11 inches deep, a 15 inch wide base and sealed with a clear lacquer.